As has been the case for many years, the growth of the Latino community in the United States is unstoppable. The most recent U.S. Census counted 55.4 million Latinos. This wasn’t a surprise. Still. this furious growth is bound to create frustration among business and marketing professionals who struggle to reach a community that, as a group, is on pace to reach $1.5 trillion in buying power this year, according to Nielsen. Further compounding that challenge are the various generations. customs, and spending habits that comprise that Latino buying power. Latinos are workers, business owners, students, professionals, Millennials, technology-dependent youths, and still others who don’t touch computers. How does one reach them? 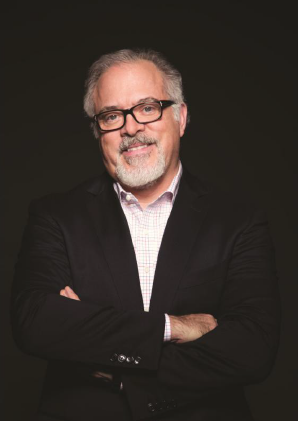 Alex López Negrete is president of Houston-based advertising and communications agency Lopez Negrete Communications, Inc., which he co-founded in 1985 with his wife, Cathy. With 2014 capitalized billings of $215 million and more than 250 employees, the agency maintains additional offices in Los Angeles, New York City and, most recently, Mexico City. An established leader in the multicultural marketing industry, López Negrete sat down with Negocios Now for an exclusive interview to share his vast experience and offer advice and opinions on this important topic. What does it mean to have more than 55 million Hispanics in the market? Whether they were born here or abroad, they represent an enormous consumer segment whose growth we saw very clearly starting with the 1980 census. I find it interesting that corporate America only decided to pay attention 30 years after the bell started ringing that this was going to be the biggest, the fastest-growing, the most moneyed, and the youngest consumer segment in American business by the turn of the century. Corporate America has an entirely new market, almost as big as the original Baby Boomers, to continue growing with. Any major corporation that doesn’t decide to make this consumer a top priority is basically walking away from its growth, if not sacrificing its very survival. 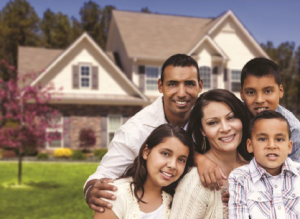 What is different about marketing to Hispanics? The challenge is to make sure you understand that this consumer segment requires a specific invitation. We are not just like the general market, and more importantly, we have now redefined what the mainstream looks like. What’s the best way to reach the Hispanic community? Print? Social media? Digital? We’ve graduated from the simple approach to the market that we saw in the 80s and 90s to one that is far more sophisticated and deeper. We as consumers have also evolved, as have the number of channels and types of media that actually reach us. But I can tell you this: Any one medium is not the answer. It is the combination and the carefully designed communication ecosystem that has to be addressed. We are very digital, from a community perspective; we lead in the purchase and use of smartphones. We lead and over-index in the use of tablets, and we lead in the online search category. So any ecosystem that does not contain a digital strategy is flawed from the start. However, I do believe that mass media continues to have a huge role – television, radio – there are a lot of different ways. But keep in mind, when you talk about marketing to Latinos, you’re talking both Spanish and English. Do you appeal to them in English or Spanish? Many believe that print media is dead and not a good way to reach the Hispanic market. What do you think? I think that’s a little ridiculous. Any print media has a digital option. Whether it is People en Español or The Wall Street Journal or The New York Times, any major publication has a digital version of itself, so I’m not going to buy that print is dead. Additionally, I go back to the level of sophistication of the consumer segment and the platforms marketers must build today to properly reach this market. For example, if you’re a business-to-business operation, print becomes very important. That said, frankly any print vehicle that does not have a digital alternative is behind the times and probably will die. an increase of 1.2 million (2.1%) from the year before. How does your agency distinguish its expertise in reaching Hispanics in the state of Texas? We understand this consumer better than anybody else, and I think that’s also one of the biggest challenges we face. Because our consumer is the new darling of everybody, you have a lot of general market agencies that are not specialists. They do not necessarily understand the nuances and the particularities of the consumer, nor the nuances and the particularities of the media that reach our consumer. Some agencies think that if they hire one or two or a half-dozen Latinos that it makes them qualified to lead marketers into successfully reaching this consumer. So we have to make sure we convey the depth of our experience and the depth of our expertise. What changes do you foresee in the short term for marketing to the Hispanic community? First, like I said, print has to evolve and have a digital component of itself. Second, all agencies, Hispanic and otherwise, have to make sure they deliver BSD-degree ecosystems and 360-degree platforms to their clients that include digital, social, mobile and, of course, mass media. But Hispanic marketing agencies also must become truly fearless about delivering measurable results for our clients. In the 90s and around the turn of the century, doing Hispanic or even African-American or Asian – multicultural marketing, as it’s called – was kind of a “nice-to have.” It was something corporations felt they needed to do. We’ve moved beyond that. The onus is on us to make sure we demonstrate the value of what we bring to the table for marketers. The next thing, and it’s not really new, is that we have to consider Latinos who consume English-language media. My business card never said “Spanish-language advertising”; it always said “Hispanic marketing agency.” It’s my responsibility to make sure my agency delivers the complete promise of what this market can represent to our clients, not just the promise of the Spanish-language side. Agencies have to be able to swim on both sides, to deliver work that is in-language and in-culture.